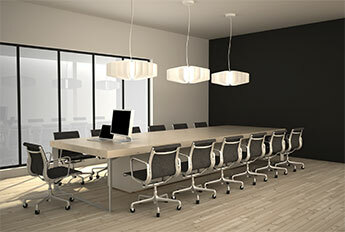 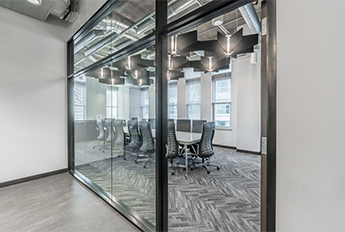 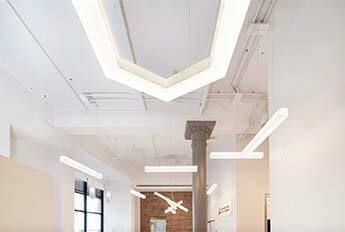 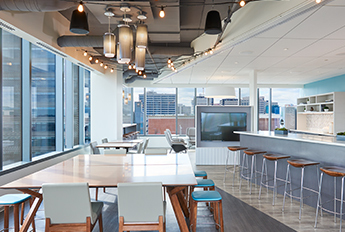 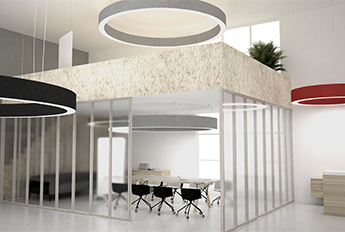 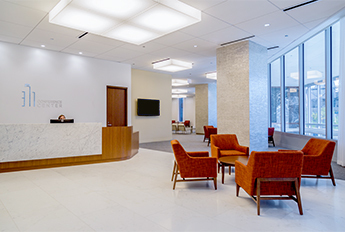 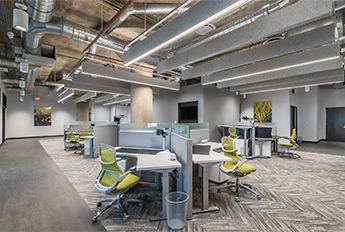 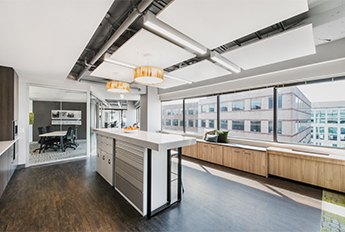 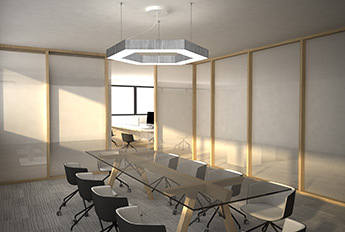 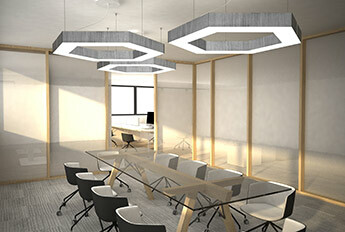 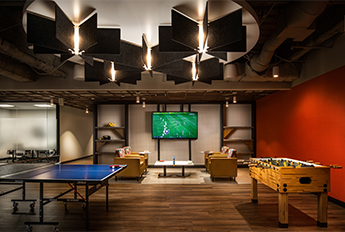 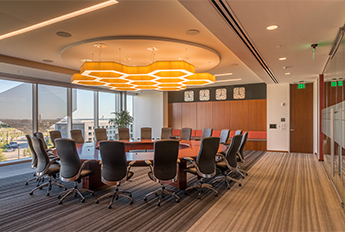 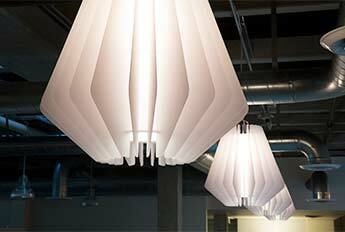 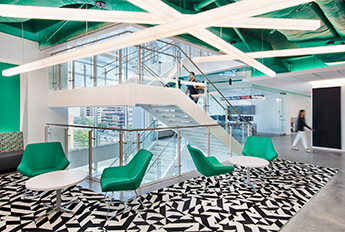 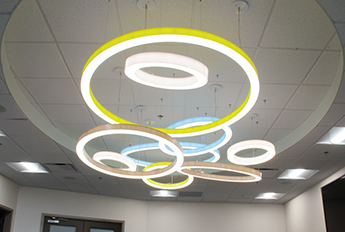 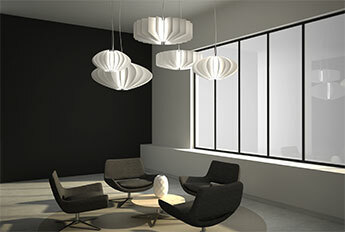 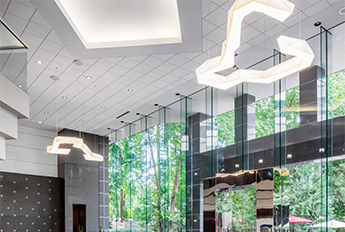 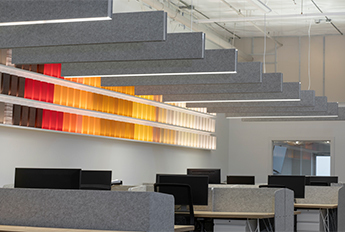 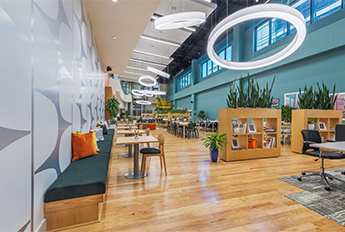 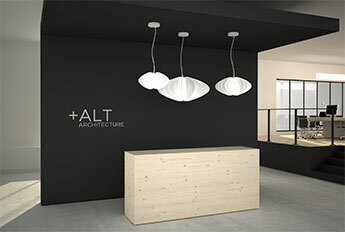 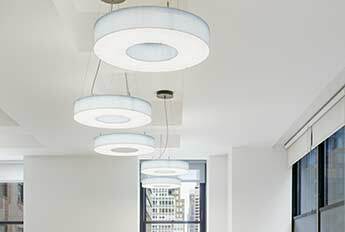 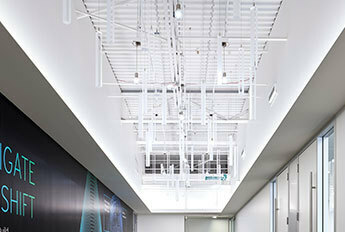 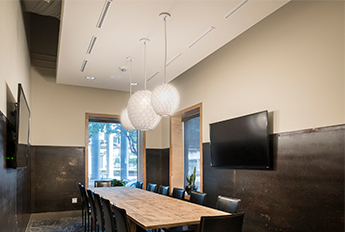 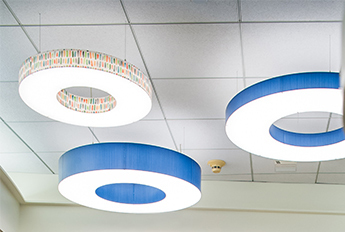 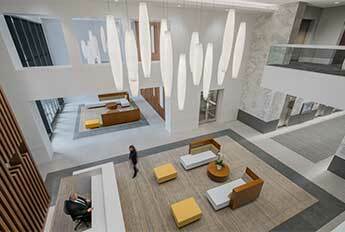 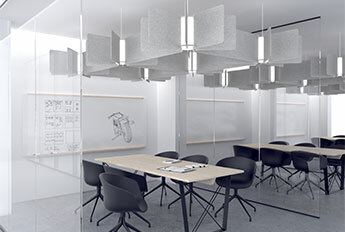 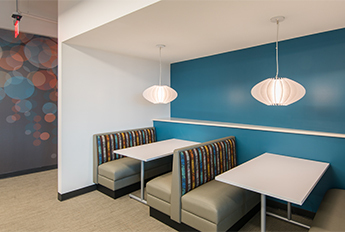 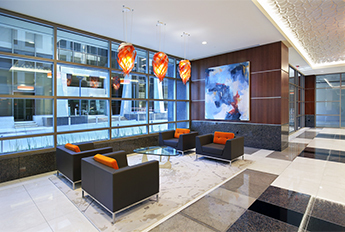 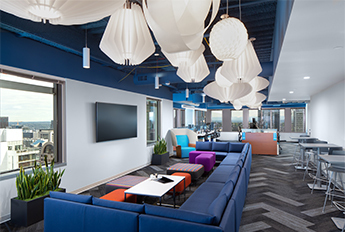 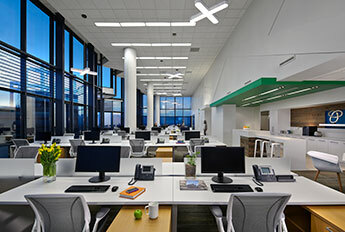 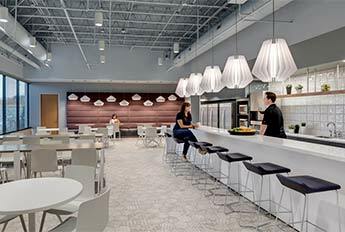 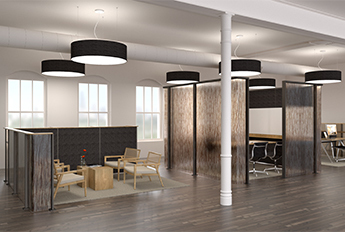 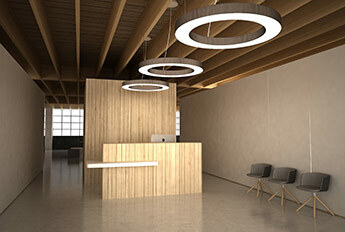 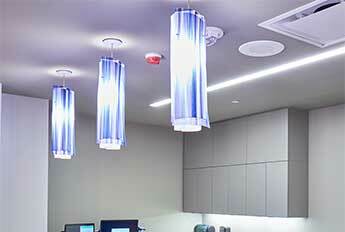 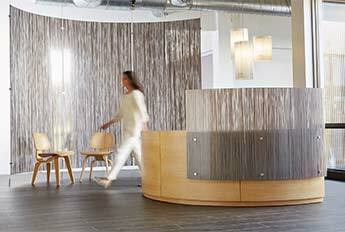 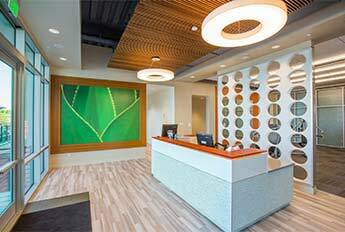 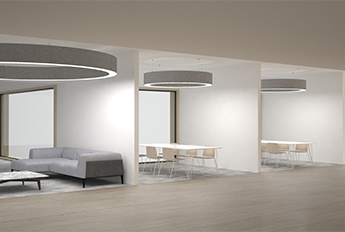 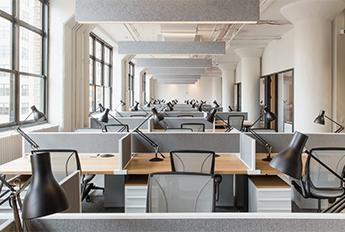 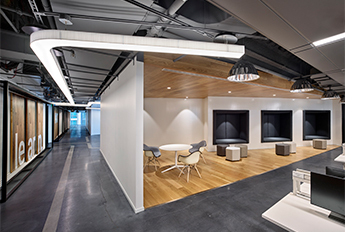 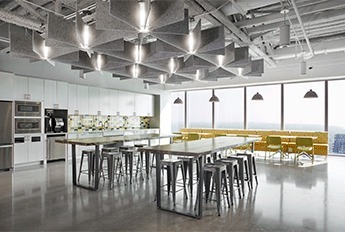 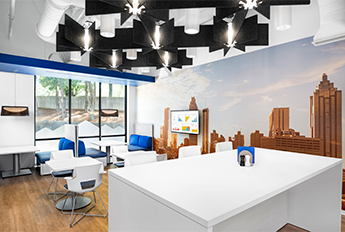 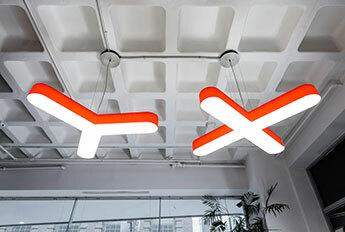 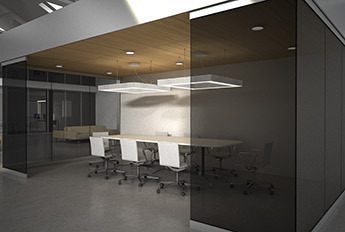 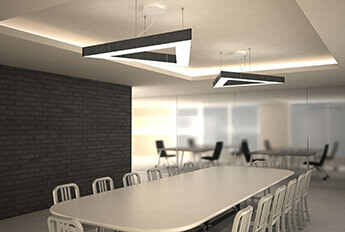 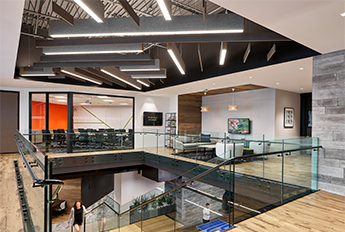 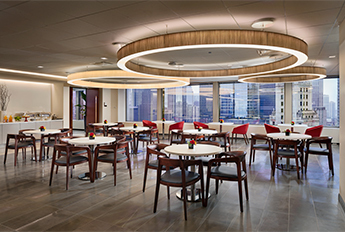 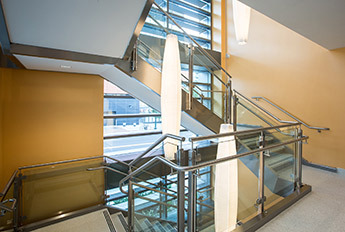 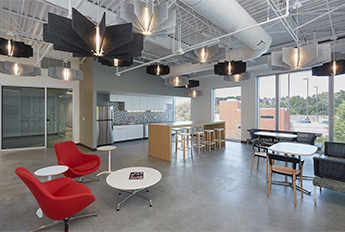 The Acoustic Collection Echo pendants were installed within a Indeed's corporate office communal space. 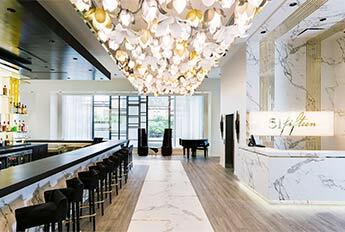 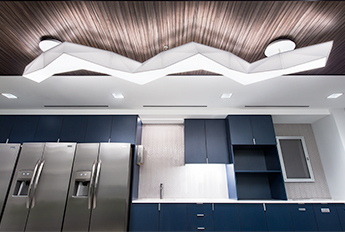 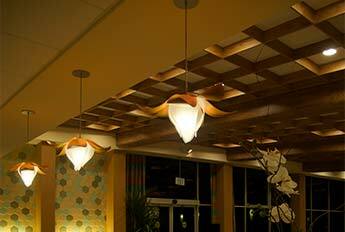 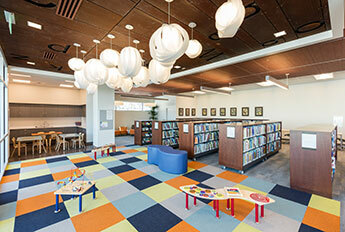 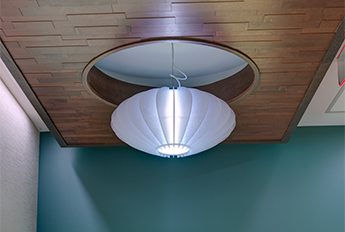 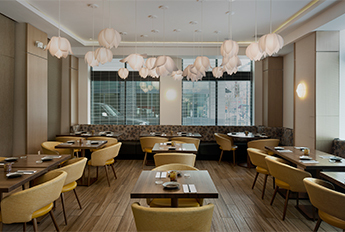 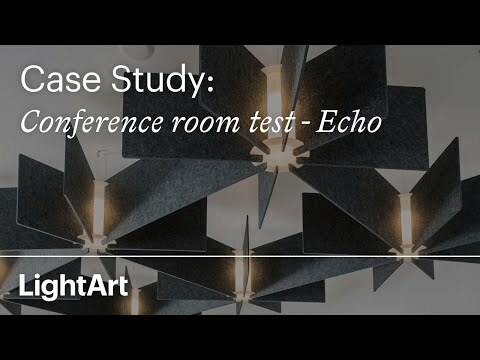 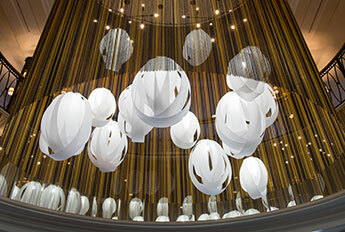 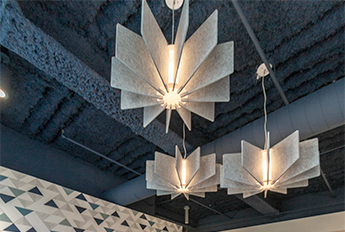 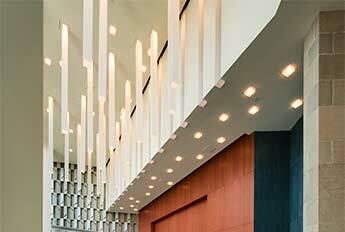 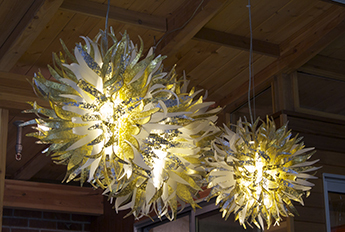 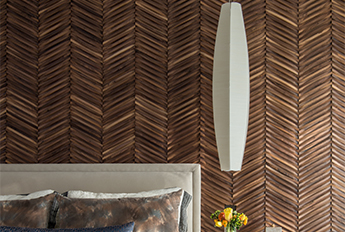 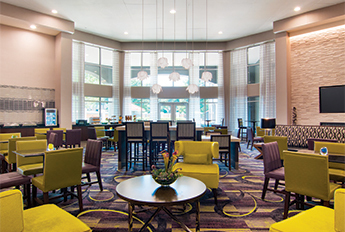 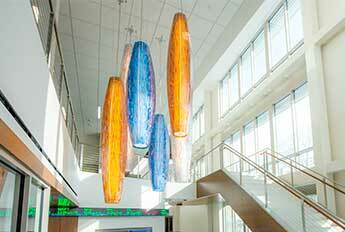 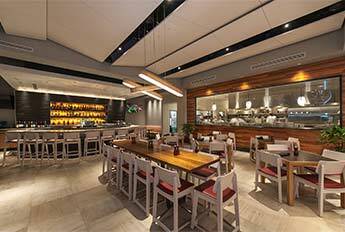 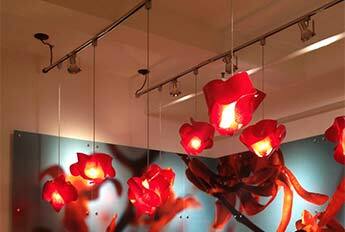 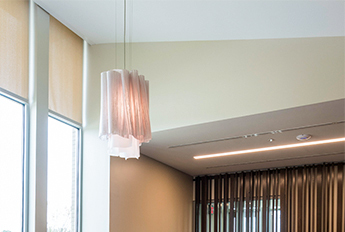 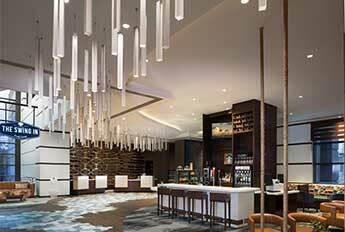 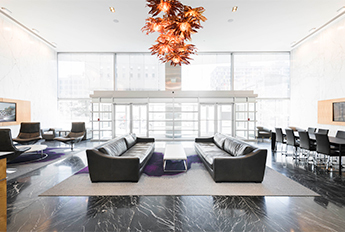 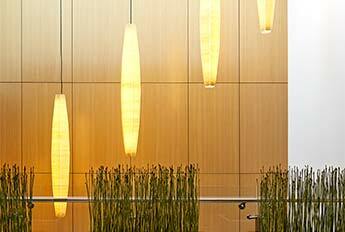 The designers used the Echo pendant to help mitigate sound travel and add soft texture to the space. 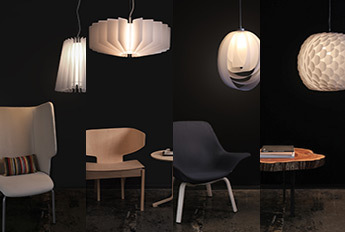 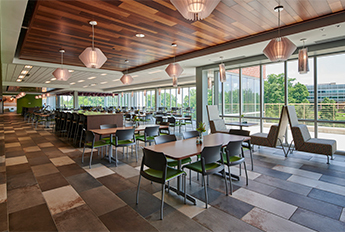 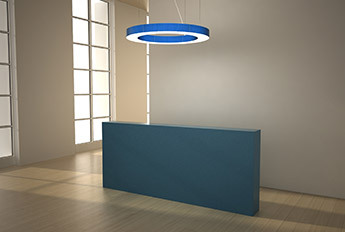 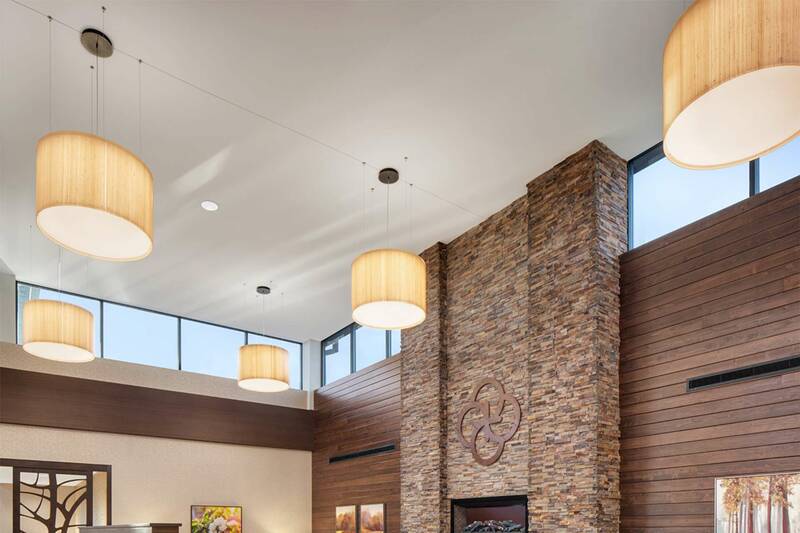 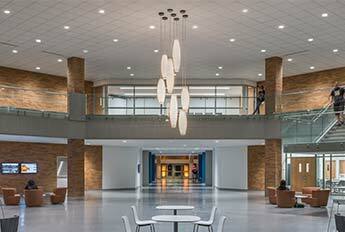 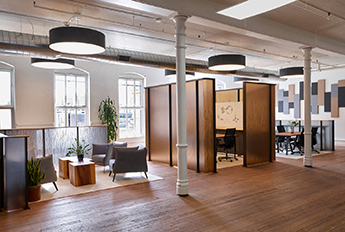 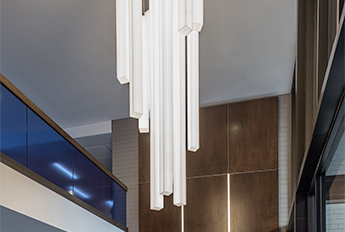 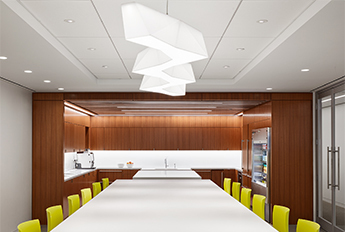 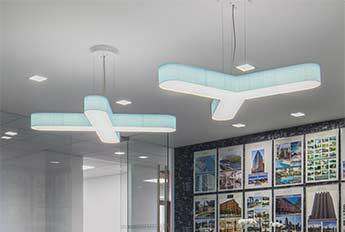 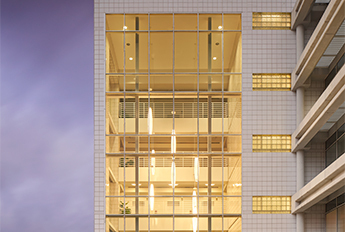 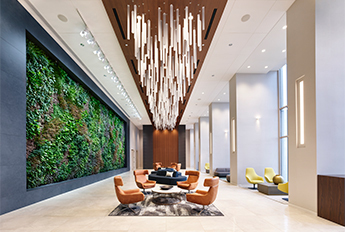 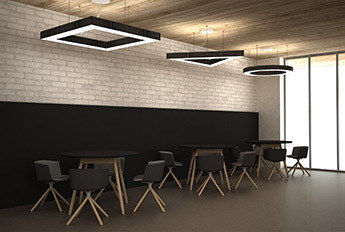 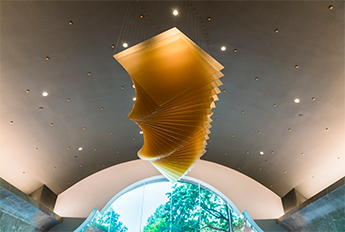 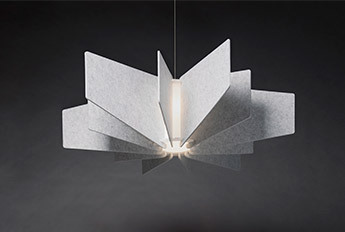 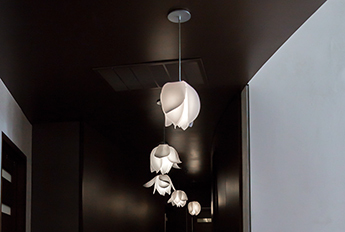 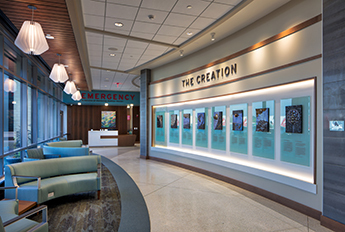 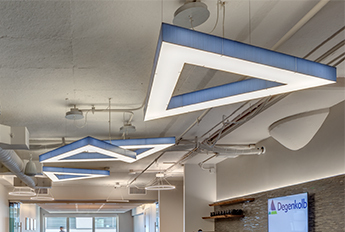 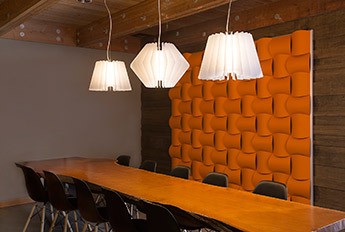 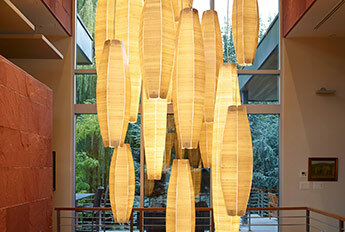 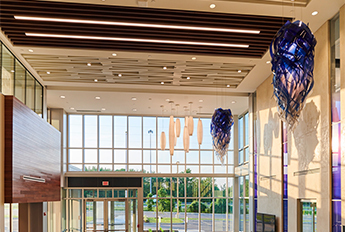 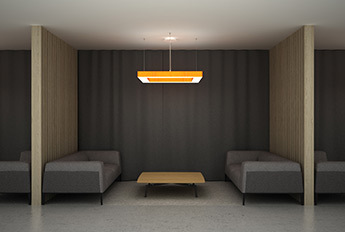 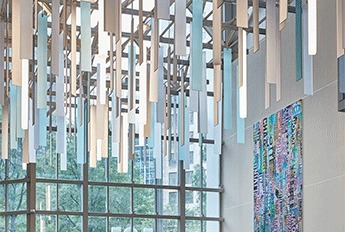 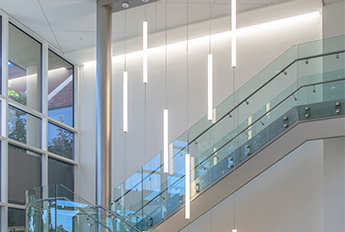 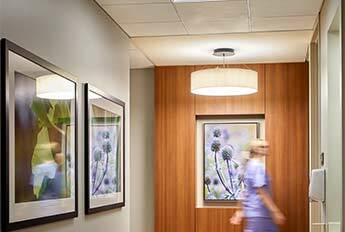 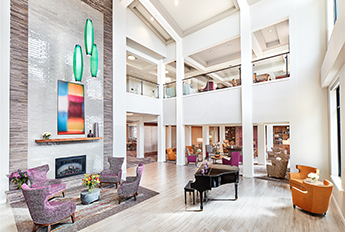 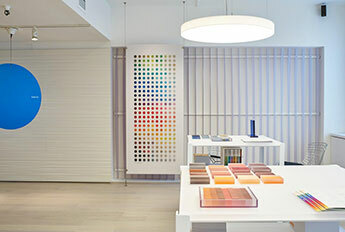 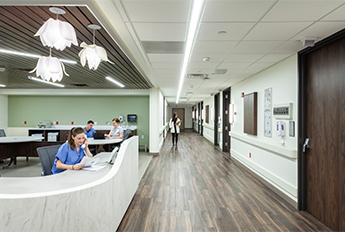 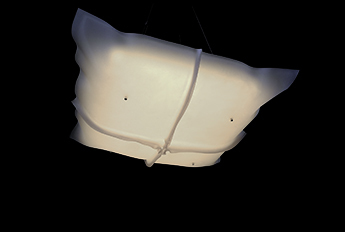 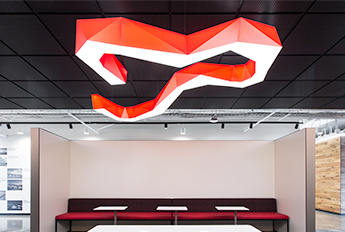 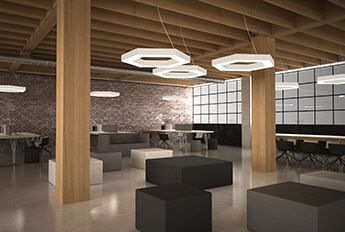 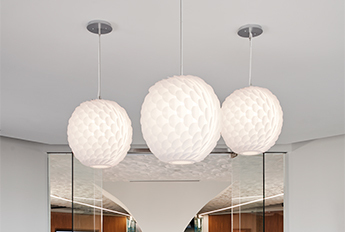 The Echo, installed as pendants or as a grid can help clients solve lighting, acoustic, and design challenges within a project.